Want to quickly see how the open-source software CMS Made Simple works? You'll find a free and updated demo installation of CMS Made Simple here. CMS Made Simple is a free open source content management system built using PHP as a programming language with support for MySQL. The first version was released in July 2004 under the supervision of project leader Ted Kulp. Since then, CMS Made Simple features went through many improvements, turning this content management system in a competitors for other popular CMSs. After launching version 1.6 on June 22, 2009 and going through a major rework in terms of design and functionality, CMS Made Simple won the Packt Publishing award for open source content management system in 2010. 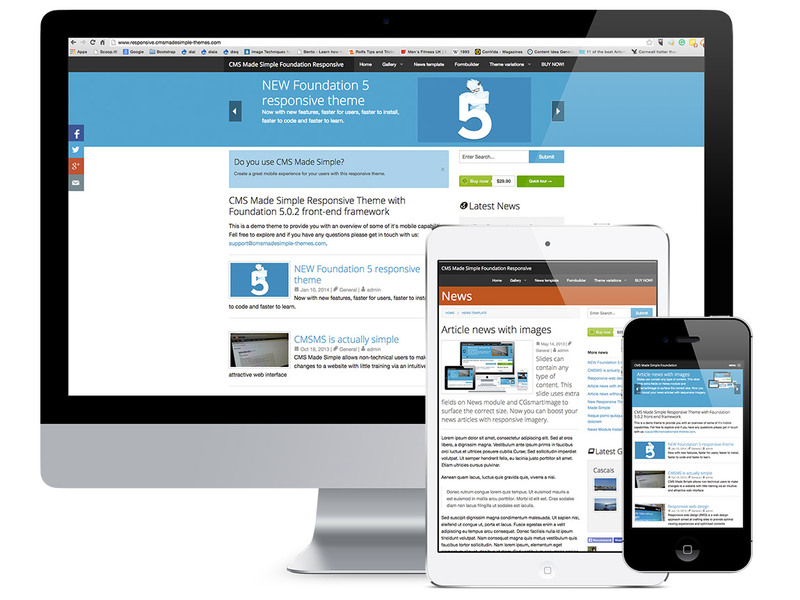 At that time, CMS Made Simple features were compared to the ones of Drupal, WordPress or Joomla!. CMS Made Simple features make it easy for both developers and ordinary users to use it as a way to create, maintain and update any website. It provides a web-based admin section where developers or system managers can customize CMS Made Simple themes and templates or install and update different add-ons modules. Other examples of CMS Made Simple features are assigning user groups and permissions and configuring page content clocks. If you want to see how an admin demo looks like and get a complete CMS Made Simple review you can login to our CMS Made Simple demo using the links above. The screenshots below will give you a preview of an admin demo and some of the CMS Made Simple features available. 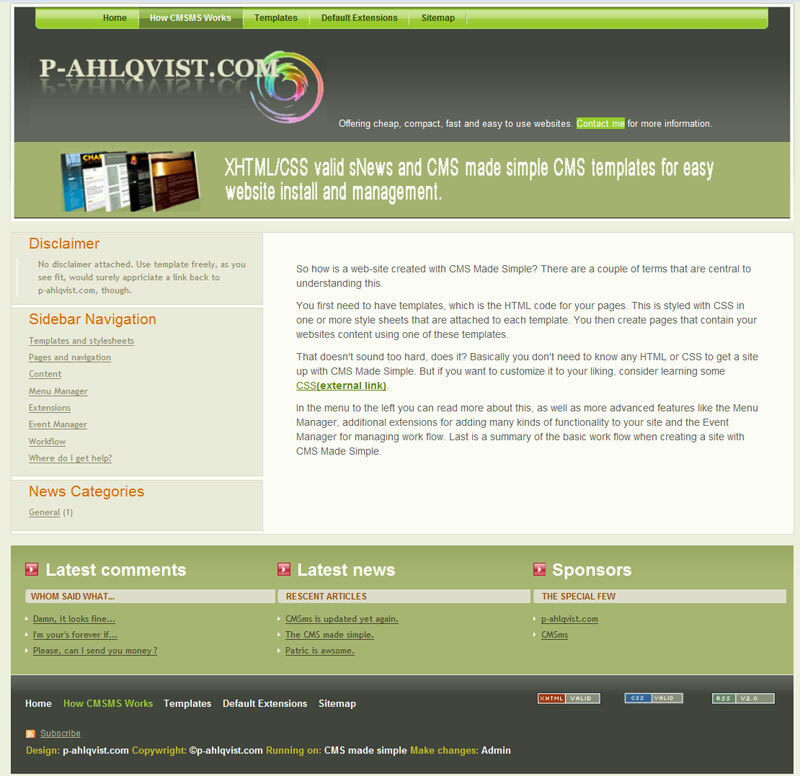 CMS Made Simple can be easily customized by developers by creating plugins, modules and extensions. Thanks to the internal template and stylesheet system, you can also customize CMS Made Simple themes to look as you want or simply purchase CMS Made Simple themes from third party developers who already did all the work. The latest version released is 2.2.6 and became available on February 17, 2018, featuring security improvements to the content management system. The software is released under GNU General Public License.